We all know “that guy.” We’ve all got that one friend. The friend who always seems to have a better story than everyone, yet no one has ever seen him do anything. And nowhere is this more obvious than when it comes to training for warriors. The thing about combat is that since we crawled out of the ooze and figured out how to turn a stick into a club, we have been fighting. 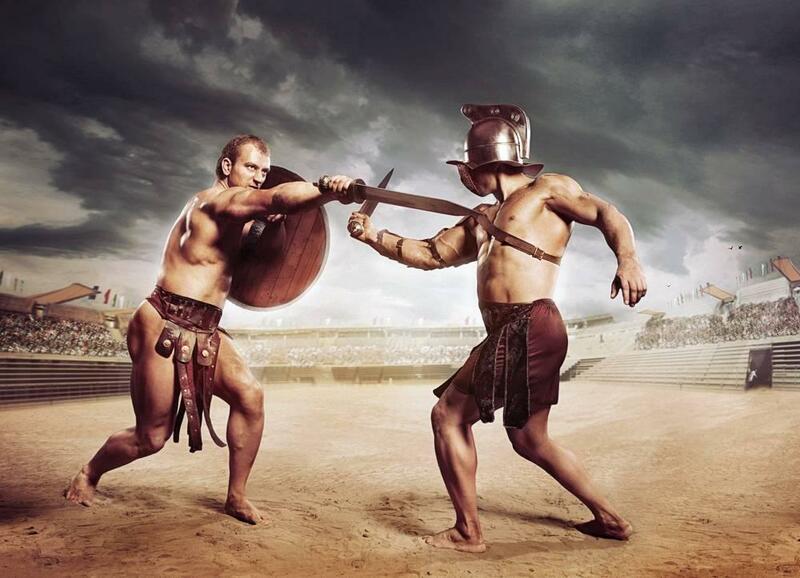 It is far more likely that the world’s oldest profession is fighting, and that the world’s other oldest profession came later as a way to keep troops occupied between fights. In other words, we know what works and what doesn’t as history gives us real clues on how to create effective fighters, whether this is in armed or unarmed combat. A few years ago everyone was signing up for boot camps, but for some reason now we’re all keen to be SEALs or Rangers. 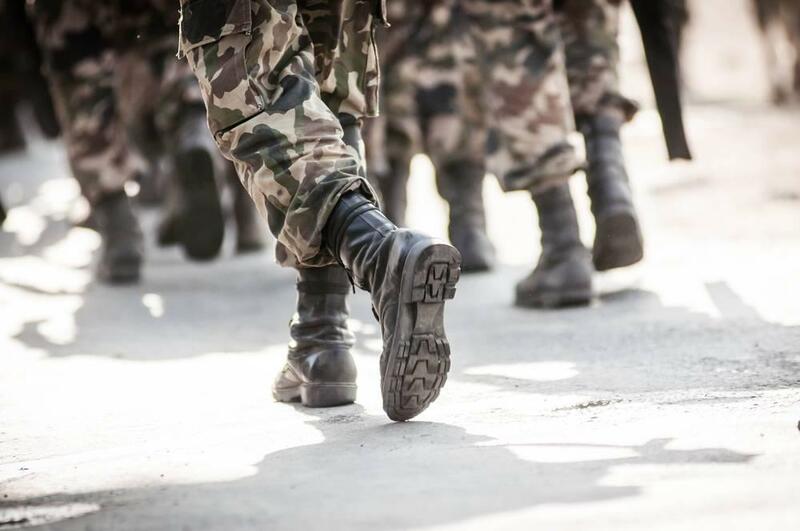 Rather than write you a cookie-cutter plan for recruit or Special Forces selection, instead I’m going to tell you why you don’t want those plans. And for those of you who are actually thinking about attempting selection into one of the various special groups, here’s some things to keep in mind. For starters, there’s a fair chance that where you’re starting from is different to where a friend of yours might be starting from. While the testing you may go through will ultimately be the same, how you get there, and what you need to focus on will be different. If you’ve competed in football (American football to non-U.S. based readers), then you’re likely quite big and strong. Likewise, if you’ve done field events like discus or shot put or competed in lifting sports like powerlifting or weightlifting, then you’ll have some aspects of the testing nailed down already and will likely cruise through pack marching as the weights will seem like nothing to you. But, you’re also likely to think that anything over 100m is a long-distance run and you probably haven’t trained over five reps in years. I have bad news for you. You will need to get used to running and doing high-rep bodyweight conditioning. As an example, until only a short while ago it was a mile run to and from the beach to the chow hall for BUD/S candidates to eat. That adds up to six miles (10km) of running each day – just to eat. There is also a timed run of four miles on sand in wet boots and pants. (Standard time is 32 minutes, which equates to 8min/mi or 5min/km). Add in that bigger guys will sink into the sand more, and that running on sand expends 63% more energy and you have your work cut out for you. Your plan for the next six to twelve months should be to forgo a lot of the heavy weight you’ve been lifting. Focus on the things you’re not good at, as it will take some time to build endurance. Don’t worry about losing some muscle. It’s only slowing you down anyway. This is the other end of the spectrum. Chances are you run quite fast and swim like a fish. The SEALs often say that what they’re looking for are triathletes. Yet most triathletes I know are so puny they can’t do a single pull up, and with many organizations having minimum standards of twenty or more pull ups, you’ve got some work to do. While your heart and lungs may be well conditioned and you won’t struggle at all on the timed runs, you may suffer badly during PT. Most endurance athletes are seriously lacking in upper-body strength and will need to focus all their attention on gaining enough muscle and strength to get through even the basic physical standards. While they may lose a small amount of running speed, the extra warmth created by being a bit bigger will help them when it comes to being cold for long periods of time, as well. If this is you, you’re going to need to work on strength. Some good ol’ fashioned 5×5 of squats, deadlifts, and bench press will become your new best friend, along with doing pull ups constantly. Don’t be surprised if it takes a year or more to develop the necessary strength to go with your ample endurance. Don’t neglect running entirely during this time, but you only need to do enough to keep your speed and endurance, which may be as little as two shorts runs during the week and one longer run on a weekend. 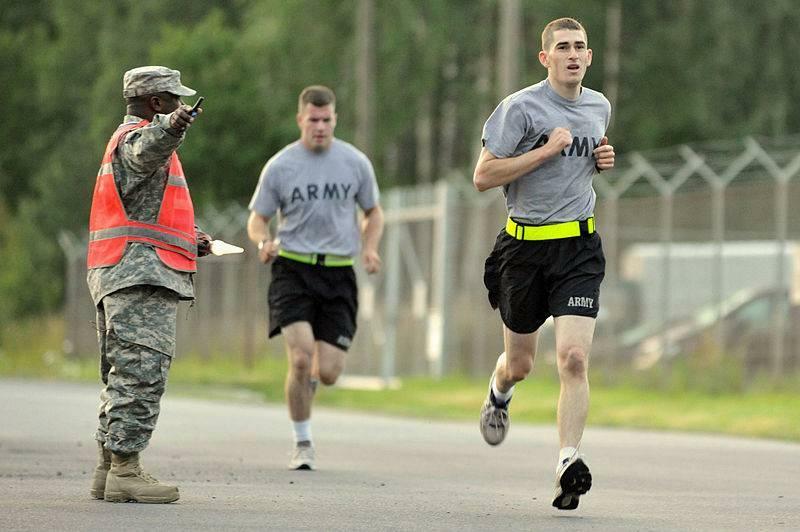 Any military training plan that is minimal on running you don’t need to waste your time with. If you have a firm running base, and are only heading to basic/recruit training, then you may be able to get away with that. But if you’re looking to get into any of the “special” groups, then you need to run, run, and run some more. A quick look at the Australian 2nd Commando Regiment suggested training plan shows a dedication to running at least twice per week, as well as swims and pack marches. But remember, this is the bare minimum and the Commandos expect candidates to add their own training on top of this to address their own weaknesses. If you are aiming for the SEAL teams, then add in that you need to be able to run six miles daily just to eat, and figure out if that is enough running for you. In the 8 Weeks to SEALFit plan, Mark Divine sets out a great training plan that shows exactly how important running is to those wishing to enter Special Forces selection. The baseline/break-in plan that is comprised of four weeks of training performed over five days has fourteen runs in a possible maximum of twenty sessions. In the actual Advanced Operator Training eight-week plan, there is running on every single day except two (46 workouts out of a possible of 48). That should give you a clue as to how important running is. On the 20th February 2019, FN Herstal was awarded a major contract for thousands of assault rifles, by NATO’s Support & Procurement Agency (NSPA) on behalf of the Portuguese Army. The contract is for the 5.56x45mm caliber FN SCAR L assault rifles. Included in this contrat, FN will also supply other guns, namely the FN40GL grenade launchers, MINIMI 5.56 and 7.62 Mk3 light and medium machine guns respectively, and the designated Marksman Rifle SCAR-H in 7,62x51mm. The NSPA, is the main logistics and procurement agency of NATO and is able to handle and support procurement for member nations. NSPA described the contract as a ‘major milestone’ for the agency. The contract was signed by FN’s sales director and NSPA General Manager. “NSPA awarded today a contract to Belgium-based FN Herstal, one of the world’s leading designers and manufacturers of small caliber weapons. This is for the Agency a major contract to produce FN SCAR® assault rifles and FN MINIMI® machine guns as new standard issue weapons for the Portuguese Army’s. The contract includes the manufacture and supply of 5.56mm and 7.62mm NATO caliber FN SCAR® assault rifles, FN40GL grenade launchers, MINIMI® 5.56 and 7.62 Mk3 Tactical light machine guns, and all related accessories. The Portuguese Army’s standard issue service rifle is currently a Portuguese license produced variant of the Heckler & Koch G3, while the MG3 and HK21 are used in the General Purpose and Light Machine Gun purpose. The exact size of this new contract and its worth have not yet been announced, but In 2017, when the program was released, the acquisition called for 11 000 assault rifles in 5.56x45mm. The value of this weapons package procurement would be €42.8 million ($50.3 million). This is a major acquisition for the Portuguese Army as the old G3 Battle Rifles are outdated, even in its class, and are obvious not adequate for the assault role. This purchase does not only manage to replace the G3 Battle rifle with one of the best current assault rifles, if not the best, but it will allow that the Portuguese Army to change the fire dynamics of it´s small units, increasing firepower and combat capabilities and being able to have more Hit probability on the enemy. Special operations operators are well beyond professional athletes. SFO’s are in extreme physical conditions. they are prepared to react instantly, in defense of our county. One SFO stands out to me. Lieutenant Michael P. Murphy, Navy Seal. No, I never had the supreme honor of meeting the man, but I have read and followed every piece of information I could find on him. “Lt Murphy” became a Navy Seal in July 2002. After several if not numerous mission combating terrorism, Lt. Micheal P. Murphy was surrounded by Taliban soldiers, along with his three other Navy Seals. Lt. Murphy left behind a legacy of honor and fitness and preparedness that many strive to archive. Lt. Murphy called this workout Body Armour, after his death, the workout was renamed The Murph Challenge. I’m not saying professional athletes couldn’t do it, but Lt Murphy did this for fun. That being said, I once met an SFO, in Hampton, VA. He was in his late fifties and ran alongside our platoon one morning during pt. , We finished a five-mile run, and he turned to us, and said… that’s it? cmon let’s do it again. The Master Chief was about 6′1 looked like he weighed about 220. It wasn’t until afterward, When I asked him, what was his weight, and almost fell out learning he was 185.